By a / June 24, 2015 / . 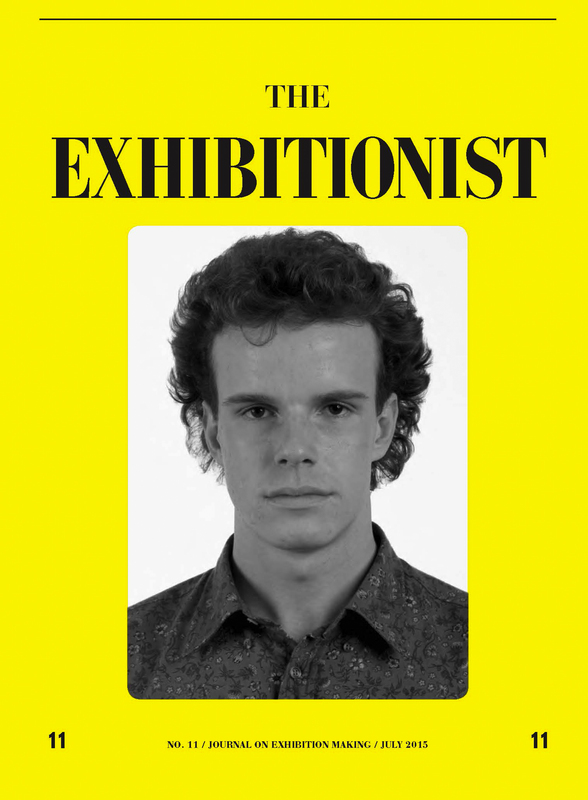 The Exhibitionist #11 cover with Thomas Ruff’s 1989 portrait of Hans Ulrich Obrist. The Exhibitionist is a journal made by curators, for curators, focusing solely on the practice of exhibition making. The objective is to create a wider platform for the discussion of curatorial concerns, to encourage a diversification of curatorial models, and to actively contribute to the formation of a theory of curating. With issue 11 of The Exhibitionist, we once again take up the question of meaning, looking back to the contested and contorted term “curator” as a springboard for inquiry into contemporary curatorial practices. Tracing this question of how to define the role of the curator and his or her labor, The Exhibitionist invites case studies, self-reflections, and essays from working curators around the world. “Six x Six” challenges curators to name the exhibitions that have mattered most to them. In this issue, Ionit Behar, Astria Suparak, Inti Guerrero, Gianni Jetzer, Sarah Demeuse, and Nikola Dietrich assemble their miniature pantheons.